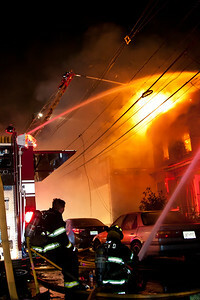 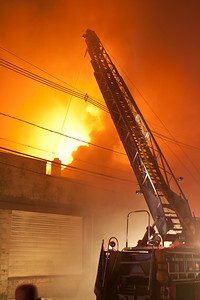 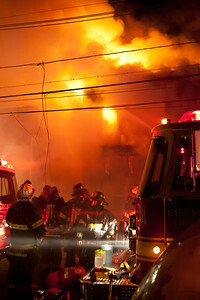 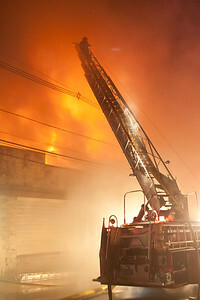 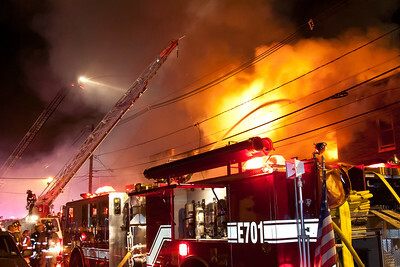 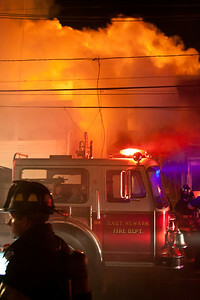 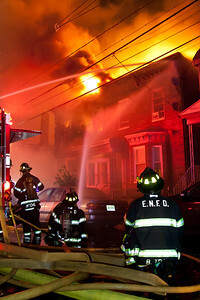 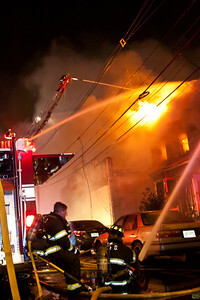 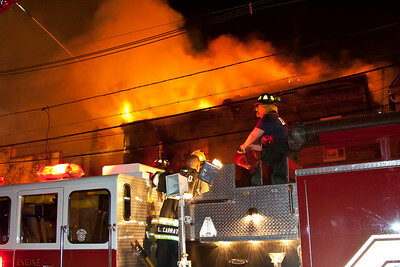 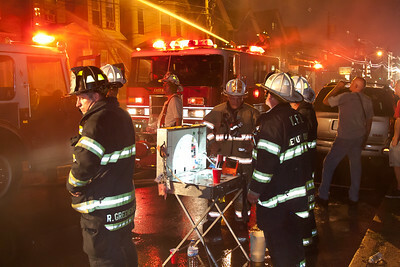 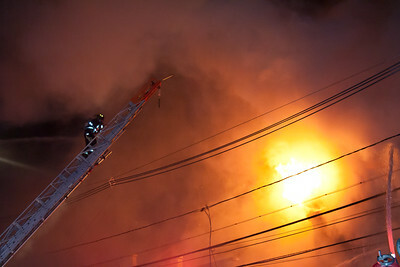 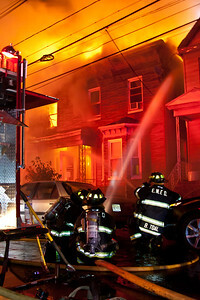 Just after 23:00 hours on July 28th, 2015, East Newark NJ Fire Dept was dispatched to a report of a fire at the town garage on Grant Ave. On arrival companies encountered a heavy smoke condition and heavy fire in the rear of the building however it was determined that the actual fire building was next door at #246 and the garage was actually the exposure B. 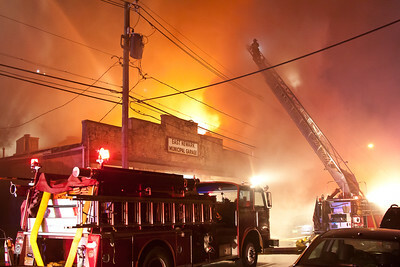 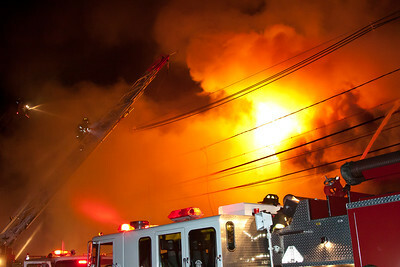 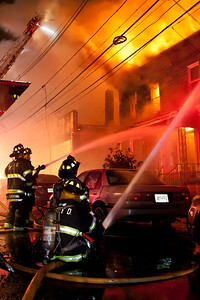 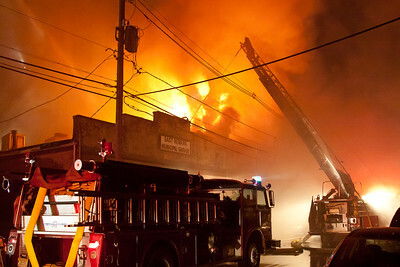 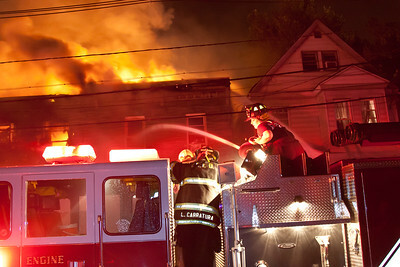 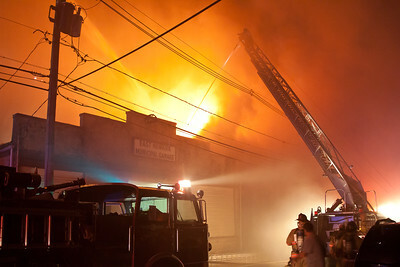 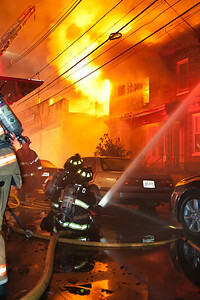 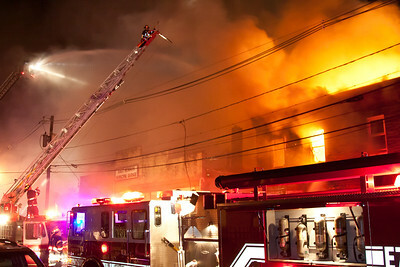 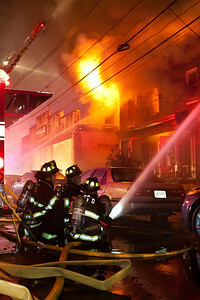 A 2nd alarm was immediately called bringing mutual aid from Kearny and Harrison right to the scene, with a well advanced fire and a major exposure problem, a 3rd alarm was requested bringing additional co's from Jersey City, North Arlington, Lyndhurst and North Hudson Regional Fire & Rescue to the scene while additional companies provided house coverage. 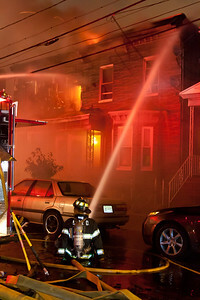 A brief interior attack was attempted which resulted in the rescue of an unconcious dog but as the fire intensified, command ordered all companies to evacuate and go to a defensive attack. 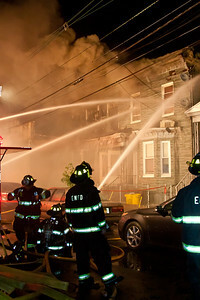 Due to high humidity a heavy smoke condition blanketed the entire area as co's went into service with 3 aerial streams, 1 deck gun and numerous hand lines. 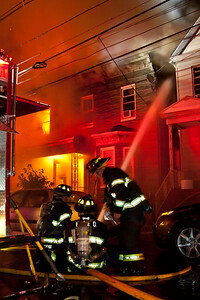 Companies were successful in knocking down the fire that extended to the town garage and also protecting the D exposure, a 2-1/2 story frame dwelling which at times had fire impinging on it, several firefighters suffered minor injuries, mostly due to the heat and humidity, 4 families were displaced and the building was a total loss, the fire took over 3 hours to be placed under control.